One of the worst parts of achieving wild success is the expectations that form as a result. It’s an unfortunate fact of human nature: people assume consistency, regardless of changing circumstances. Successful businesses are expected to maintain the rate of their trajectory upward, and any deviations from the norm are met with skepticism, if not outright hostility. Such is the case with SpaceX, a company struggling to rid itself of the weight of unrealistic expectations. SpaceX, a private aerospace company founded by billionaire entrepreneur Elon Musk, is undoubtedly a victim of its own success. Following a 2014 lawsuit in which SpaceX won the ability to compete for Air Force contracts, the company effectively revolutionized the aerospace industry. By providing rockets at prices substantially cheaper than its competition, SpaceX grew from an aerospace underdog to an industry titan. Over the past five years, people have become accustomed to the company’s tendency to outperform. But in aerospace, as is the case with every fast-paced industry, the landscape is continually shifting. Recently, SpaceX’s competitive influence has waned as other aerospace companies have stepped up their game. But while Musk’s company remains a potent force, critics have been quick to pounce on the firm’s perceived weakness. To be fair, SpaceX has endured a few substantial setbacks in the past weeks. On February 11, the Pentagon’s Inspector General opened an investigation into SpaceX’s Air Force certification. While the stated goal of the inquiry is to determine whether the Air Force complied with guidelines when it granted SpaceX its certification to execute government contracts, what prompted the investigation and its ultimate result are wholly unclear. This lack of clarity has caused a wave of speculation to envelop the aerospace community. Some have gone so far to question the future of SpaceX as a company if its ability to engage in government contracting were stripped away. Not only does SpaceX have to contend with those questioning its legitimacy as a government contractor, but it also has to combat the narrative that it is losing ground to its competition. In January, NASA announced that it would award the much-desired Lucy contract—valued at $148 million—to SpaceX’s foremost competitor, United Launch Alliance. 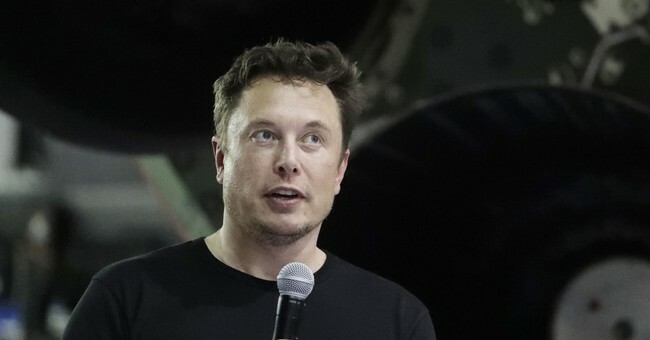 Coming not too long after the Air Force expressed uncertainty about reusable rockets' ability to meet mission performance requirements, this decision has caused many people to assume that SpaceX is losing its grip over the industry. While some concern about the future of Elon Musk’s SpaceX is undoubtedly healthy, those claiming to hear the death knell of an industry titan are way off base. Again, the problem lies with unmitigated expectations. The simple truth of the matter is that all companies, no matter their size, clout, or popularity, are going to experience rough patches. With a business like SpaceX, it’s easy to assume that past performance will always be indicative of future results. But that mode of thinking is both fallacious and counterproductive. Success is a process, not a constant state. Oftentimes, companies have to change course and adjust their sails when the waves get rocky. To SpaceX’s credit, that is exactly what they’ve attempted to do. Recently, the aerospace juggernaut made the decision to downsize, cutting 10% of its workforce to streamline productivity and increase efficiency. Long story short: don’t count SpaceX out, and don’t expect too much. SpaceX has certainly faced adversity adjusting its role in the aerospace community, but it is up to the public to tamper down its unrealistic expectations.